The call for papers placed this conference in the context of RISD’s recent interest and success in “transcending traditional disciplinary boundaries to encourage more holistic, multi-faceted approaches to art and design practice.” In my talk I’d like to focus on disciplinary boundaries in how museums use artifacts, and offer some suggestions on how we might transcend some of those traditional boundaries for a more holistic, multi-faceted museum. 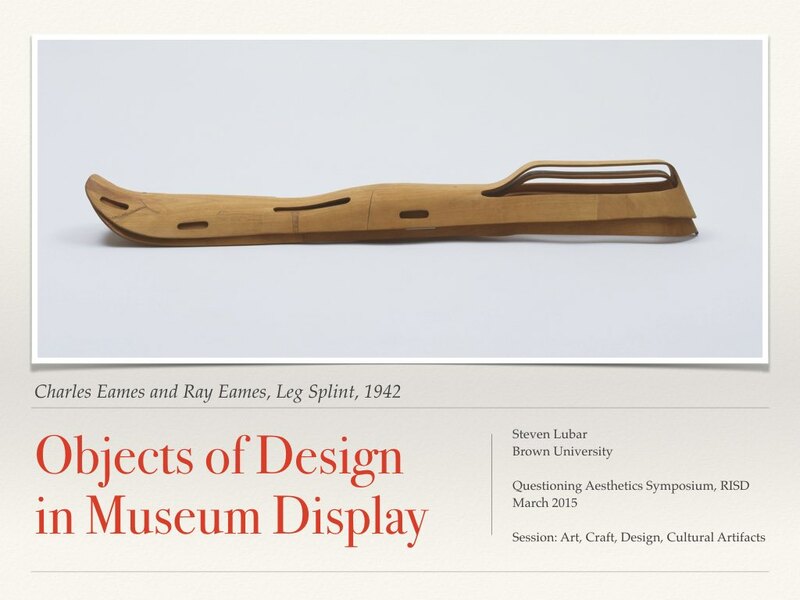 The disciplines whose boundaries I’d like to consider are those mentioned in the title of this session: “art, craft, design and cultural artifacts.” There are art museums, craft museums, design museums… “Cultural artifacts” is the ringer here. It suggests, perhaps, anthropology museums? After all, anthropology is the discipline that likes to claim “culture.” But I’d like to be more open-minded, and include here both museums of anthropology and museums of history. Each of these types of museums addresses its collections differently, and often engages in defending its boundaries. They each have ways of thinking about what’s included, and what you should say about it. And so we sort the artifacts of the world into categories, put them into museums based on those categories, and don’t think about what we’ve lost. Disciplines have a way of disciplining our thoughts, and understanding them can offer us a way to think outside those boxes. Museums tend to fall back on usual ways of telling stories with objects. I want to look at what might be called crossover objects—ones that fit uneasily within disciplines—we can find better ways to present not only these objects in exhibits, but maybe all objects. How might breaking down these barriers make for more interesting, useful, or provocative exhibitions? Thomas Thiemeyer recently suggested three useful categories for considering the ways that museums use things: as works, as specimens and as witnesses. By works, Thiemeyer means, mostly, works of art. The Mona Lisa is presented as a work, as an original. To use Stephen Greenblatt’s language, it is shown as an example of “wonder.” In Walter Benjamin’s terms, it has an “aura.” In Benjamin Ives Gilman’s terms, it’s a “unicum.” It’s an original, authentic, special. The display reflects this: It’s displayed by itself, for visitors to admire. Art objects are displayed on white walls, given space, kept with others of their kind. By specimens, Thiemeyer means: representatives of their type. Natural history museums are full of specimens; any example of a species is as good as any other. Cabinets of curiosity were full of special objects; museums are full of typical objects. Foucault described this as a transition from the ‘age of the theatre’ to the ‘age of the catalogue.” And art museums followed along, to some extent: when, in the nineteenth century, museums came to be organized by school and date, art became, in a way, specimens as well as works. Displays of art were organized to tell stories. Art museums fought over these two ways of thinking about art for most of the last two centuries. Were they places to commune with great art, or places to learn art history? They’re both, of course, but it’s difficult to do both things at once. Thiemeyer’s third category is witness. 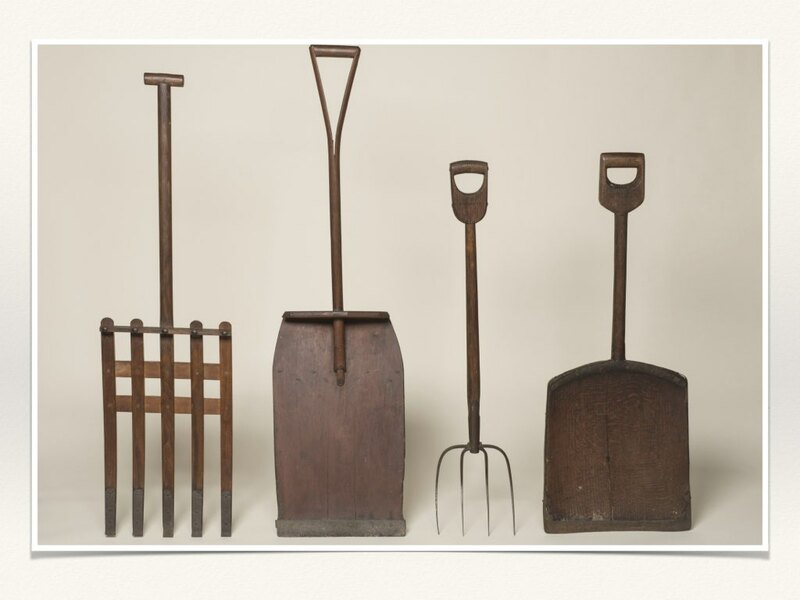 These are objects that carry a meaning because of where they were in their pre-museum life. Witness objects are about use and source and provenance. In art museums, pure witness objects are rarely displayed, though one might argue that fragments of ancient sculpture fall in this category. But many art objects have a witness story to tell. In history museums, witness objects cover a wide range of witnessing—from the daily stories of use to the more dramatic stories of politics. This category is similar to Greenblatt’s “resonance,” but I think more inclusive. Each kind of museum balances these three categories differently. Art museums want each work of art to be considered a work, but they also want to present art history, and consider art as specimens, as examples of the work of an artist or a school. Natural history museums present specimens—they even call their objects by that name. (The fad for exception specimens in the early 20th century had them veering toward a concept something like a work.) Anthropology museums do all three—they bounce between treating objects as specimens and acknowledging them as works, or putting them into context and calling them witnesses. (That’s why so many early leaders in the field mused about putting all their cases on wheels.) History museums generally want to tell stories, and make comparisons about change over time, and so they want specimens to tell the story with—but they depend on witness objects to make the story seem true. 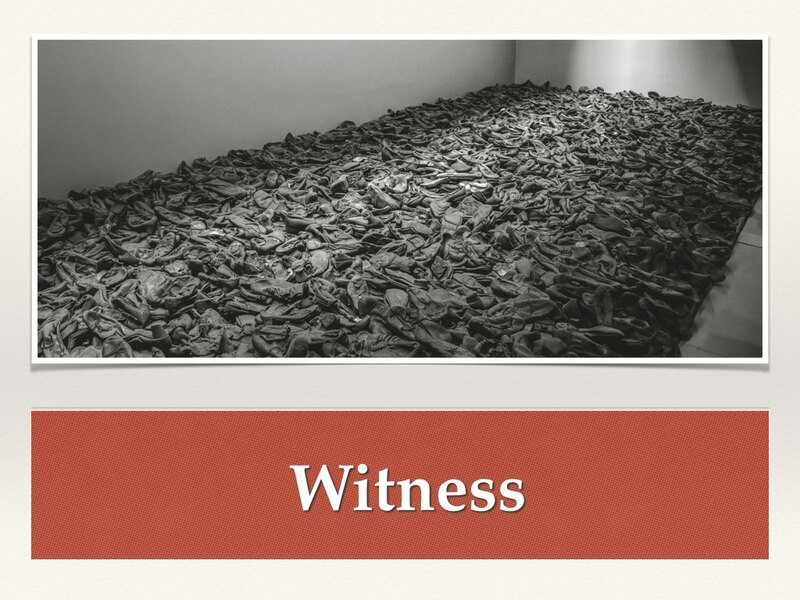 The dual use of objects is especially interesting to observe at museums focused on trauma, like Holocaust museums, where witness is so important. Museums have an easy time when they treat an object in one way, or in their traditional way. It can confusing when they try to break the rules, or mix modes of presentation. 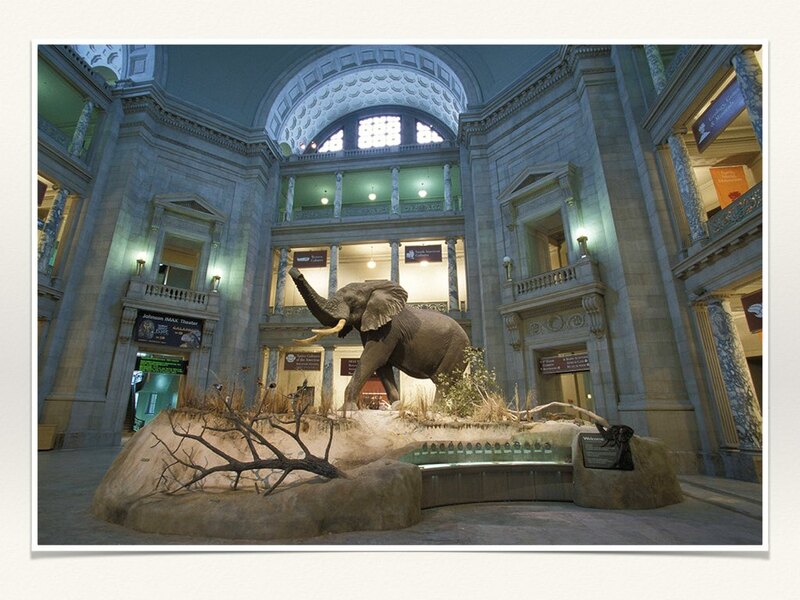 Consider the elephant in the lobby at the NMNH, trying desperately to be all three things. Design objects are, perhaps, particularly complicated because they’re about use as well as making. We want to treat them as art, as works, but we also need to think about them as telling their own story of usefulness, that is, as witness objects. We don’t like to think about them as specimens because what distinguishes them from other everyday objects is their design, their specialness. Considering these three categories of understanding helps us understand the challenge of displaying objects of design. Shaker tools. Art museums embraced these as modernist art in the 1930s, and so they might be seen as works of art. But they’re anonymous, simple, things; it’s hard to treat them as we would a painting. The Shakers would have thought of them as technology. And they would fit nicely into an anthropology exhibit on sects, or an American history exhibit. 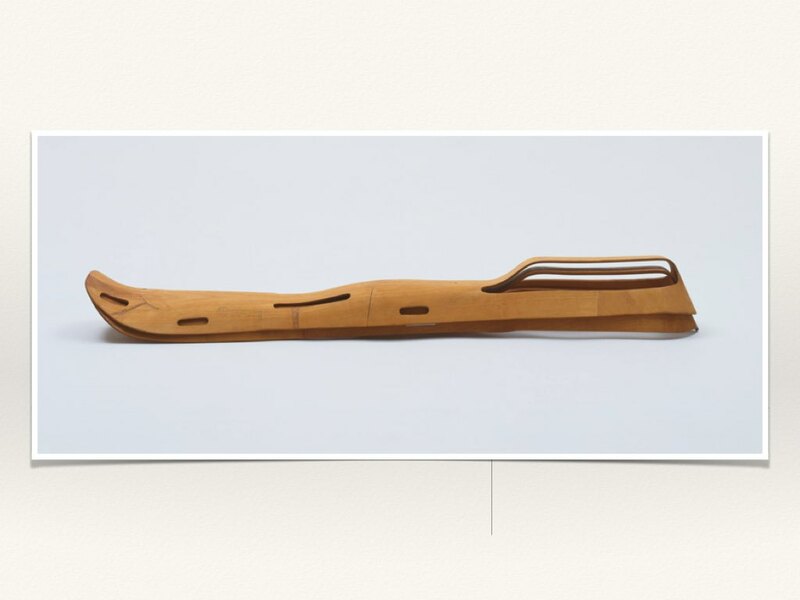 Eames plywood splint. It is an icon of design, but it’s also, through its materials, craft; through its use, a medical technology; relieved of its context of use, and considering the place of the Eames in modern design, it comes close to art. The famous Bell helicopter. 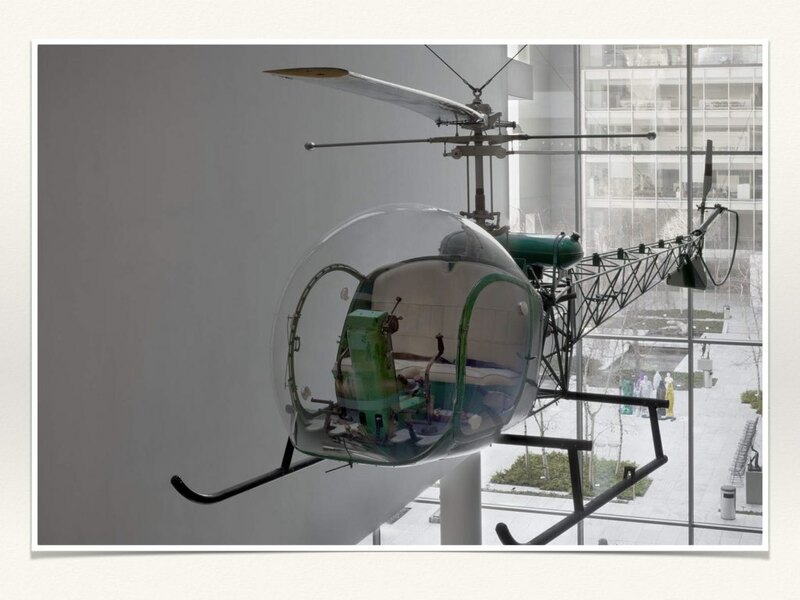 It must seem odd to some visitors to see this hanging at MOMA, but it fits nicely as both technology and design. 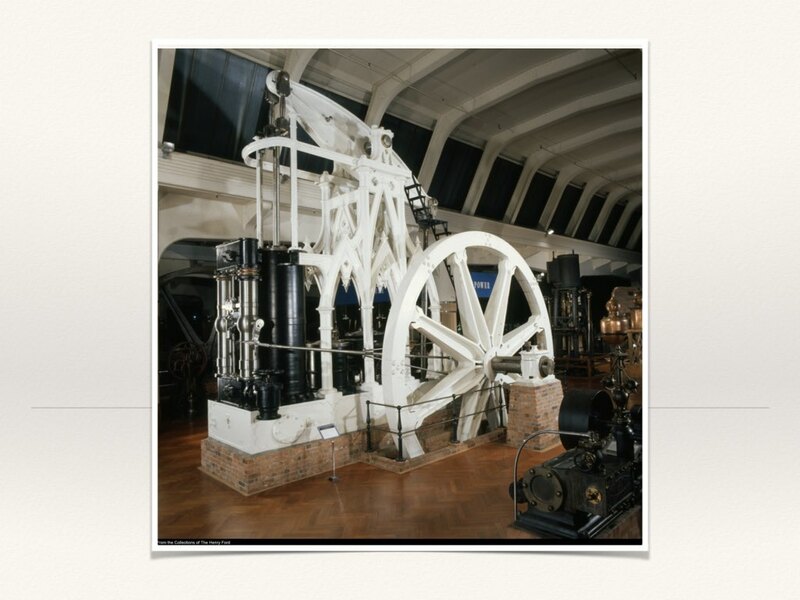 An 1855 Gothic revival steam engine on display at the Henry Ford Museum. It’s technology, but its design suggests culture, design, maybe art. Decorative arts more generally falls into this confused category, and it’s why the period room is such a difficult medium. We want to claim furniture as a work of art, but we know that to call it solely that, we are leaving out too much of the story. Furniture is a specimen, and furniture is a witness—either to daily life, or wealth, or to history. The period room, I suggest, captures that ambivalence; it’s trying to do three things at once. Consider a few attempts at period room-type displays. 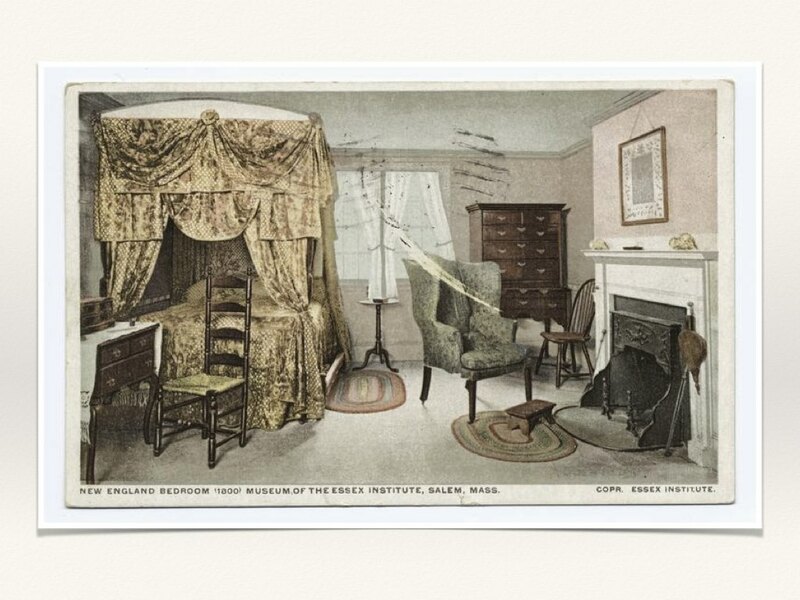 The early rooms at the Essex Institute, from 1907, were designed “to present a truthful picture of an interior in the year 1700,” wrote curator George Francis Dow, and so he felt free to use reproductions, aiming at an “atmosphere of liveableness.” (No “works” here!) “The old way was to have the specimen placed upon a platform. Today we put it in its relative position as associated with other articles of the furniture of a room. It at once takes on a new significance, becomes almost a living object.” He treated the room as a stage set, dressing them to make them seem real. The period rooms at the Berlin Jewish Museum. Here, the furniture has no special design significance. But it does two things: it serves as specimens, that is, examples of pre-war Jewish life; and it serves as a witness to the Holocaust. The furniture was recovered from families that had left Germany, and the story that’s most prominent is the story of its travels out of the country, and back. “Maira Kalman Selects” at the Cooper Hewitt. A selection of objects from the collections that is all about her relationship with objects. Her text reads: “What is this room about? 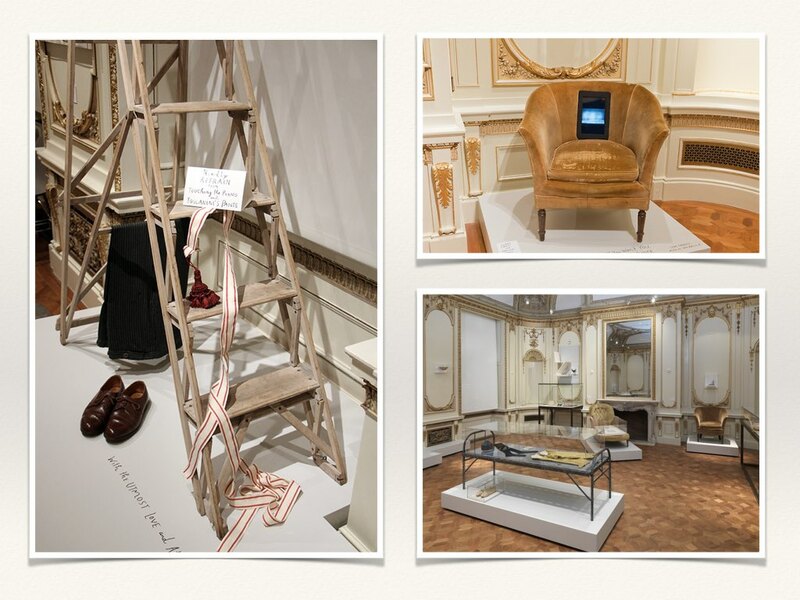 … It’s about falling in love with a group of objects….” Some are there as works of art. Some, like this chair, break all of the rules of showing a work of art. Some, like Toscanini’s pants, are there as witnesses. Some are specimens, symbols of walking, or childhood. Kalman’s introductory text advises viewers to “not think too much. Unless it pleases you.”Perhaps she is acknowledging the challenge of thinking about these things in a usual museum way—and asking us to think differently. It’s not just period rooms that wrestle with how to mix these modes. Consider what happened when an art museum—more precisely, an Institute of Contemporary Art—tried to make sense out of a movement that crossed the lines between art, craft, and design. 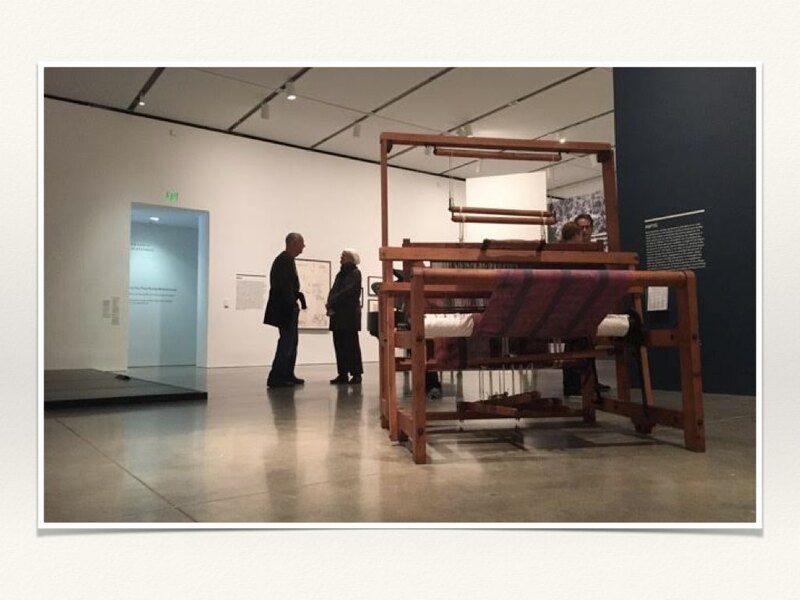 The ICA displayed the loom from Black Mountain College as an art object, but it’s really, in this case, a witness object. The timelines on the wall treated art objects as specimens, to tell a story. Loom from the Black Mountain School displayed at Institute of Contemporary Art, Boston. Photo courtesy Elizabeth Crawford. There’s a long tradition in the history of museums of suggesting, wistfully, that it would be easier if we could just put all of our display cases on wheels. (Pitt-Rivers, Frederick Lucas, and George Brown Goode all suggest this.) One can sympathize with them. We want to tell many different stories with the artifacts. But we also want to tell different kinds of stories, and for that wheels won’t do. It’s not enough to move a case from a synoptic series to a featured work of art; the modes of display are different. 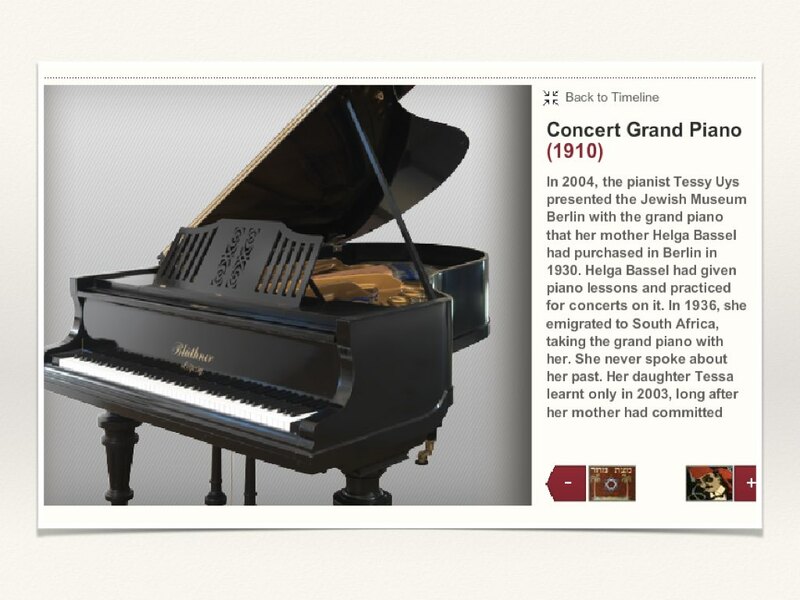 The digital offers us the chance to virtually put our artifacts on the wheels that early twentieth-century museum philosophers wanted, a place where objects can flicker between categories, maybe even occupy more than one at a time. Perhaps; but most digital museum display turns everything into a specimen; it flattens it into two dimensions. The aura is gone, and so, often, the story, the context. Another possibility is to try to balance the two parts of an artifact’s life: making and using. The RISD Museum has begun to experiment with ways to show making as part of the artifact’s story. It’s done that by reorganizing some areas by material, and explaining tools and techniques. What if a museum added to that the story of use? Objects would begin to tell multiple stories, and—if the making and use were integrated—the story of design would become prominent. Another possibility: Think about how the visitor interacts with and makes meaning of objects. Design connect making and using, and putting the visitor into the position of using the objects, and asking about who they were made for, and and how they were used, might offer us insight that allows us to think of objects as works, specimens, and witnesses, all at once. The Whaling Museum’s Collections Development Plan, done!